PHH Solicitors are a local law firm specialising in Financial Matters arising from Divorce or Separation on the Fylde Coast and across Lancashire areas. A divorce can be an extremely distressing time; however, the financial needs of both spouses and any children must be formally agreed. We understand the complexity of financial issues surrounding a divorce and we will work with you to advise and assist with the division of incomes and assets. Achieving a fair and reasonable financial settlement for you. Full representation in an application to the Court for a financial remedy order including cases in which there are complex assets such as businesses, family trusts, inherited wealth and pensions. Alternative dispute resolution such as mediation or negotiation. Why choose PHH Solicitors to advise regarding financial issues arising from Divorce or Separation? We have a strong track record for negotiation and litigation experience and can handle the most complex financial affairs. We will help you to achieve an outcome which secures your financial future. 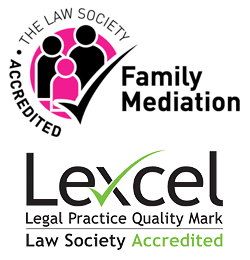 To book a free initial consultation with our Family Law Solicitor, call 01253 824216 or get in touch online.